If the sea grew a tree, what would it look like? 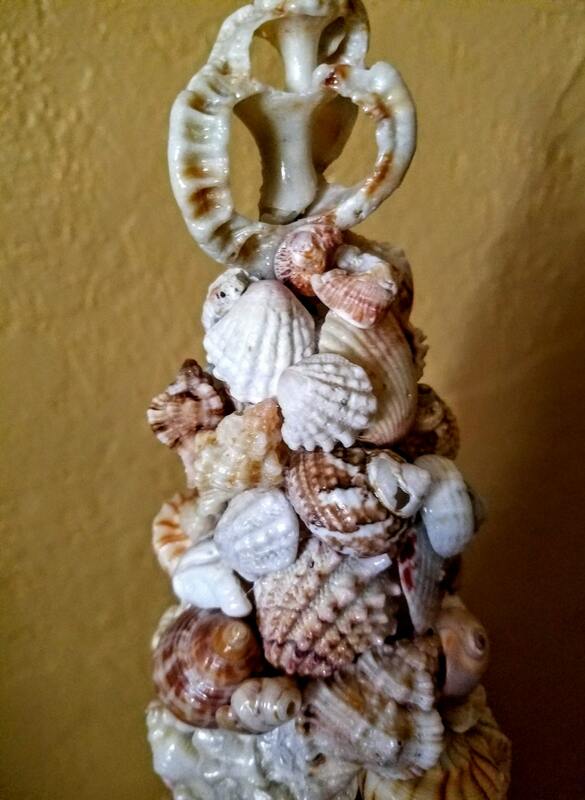 Follow my imaginative journey, after daily visits to an amazing, enchanted barrier island PRIVATE beach, that inspired me to create the extraordinary, "Tree of the Sea". 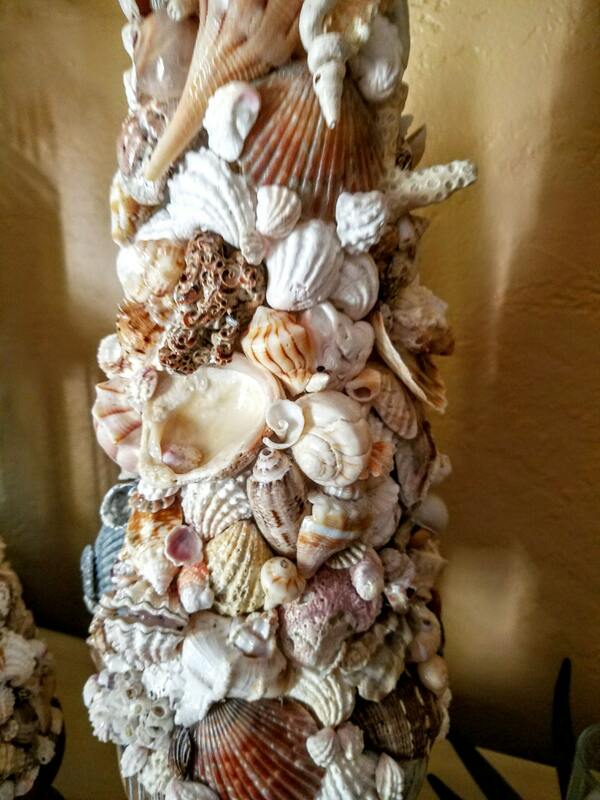 Apple Murex, Lightning Whelks, Scallops, Banded Tulips, Shark Eyes, Cat Paws and Spiny White Jewel Boxes, dollop the tree and name but a few of the 100% locally sourced sea gems that adorn this masterpiece. Each carefully chosen for it's organic feel, rare colors, unique shape and curious imperfections. 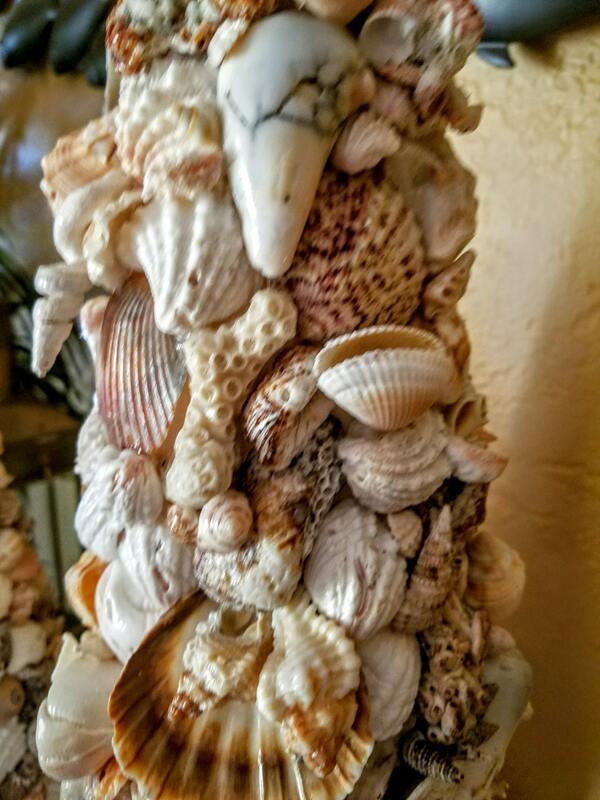 Offered from the depths of the ocean, after the rath of a coastal storm. No matter the interest in the inspiration, or drawn in by it's stunning beauty, this glorious creation is deserving of a focal point of the most prestigious, ocean side estate; yet equally at home in a cozy, beachy cottage. 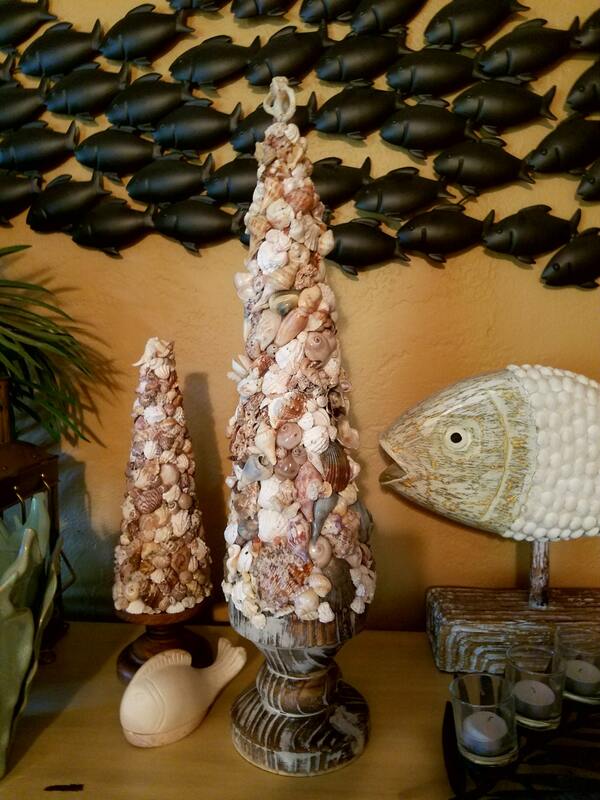 It's massive presence atop a perfectly paired weathered & whitewashed solid wood pedestal base. In shades of natural sand and grey that marry seamlessly together in organic perfection. 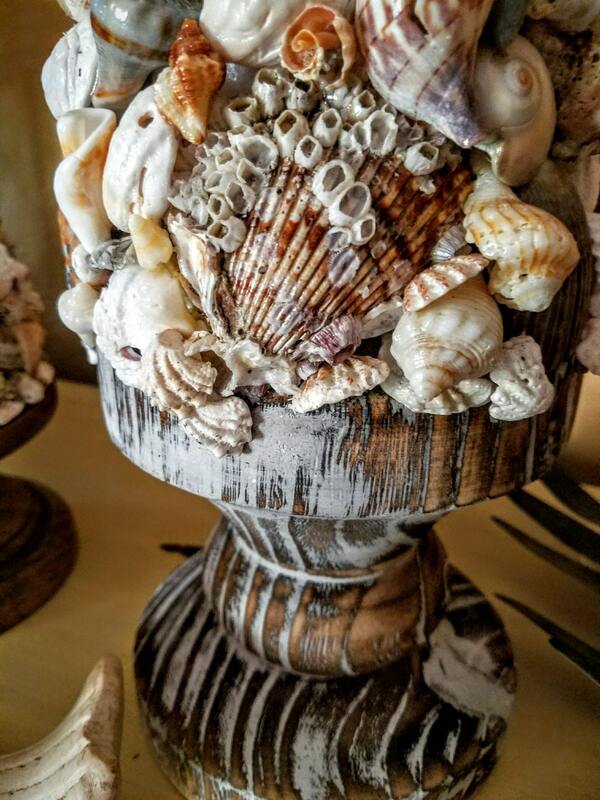 Sealed with a clear, glossy finish to preserve vibrant color and practical easy dusting, this unique piece of coastal art will serve as a conversation piece, poised to become an heirloom for generations to come.